If you do a lot of biking, either for pleasure or as your main form of transportation, you've probably wished you had a way to charge your phone. Like many folks, you may listen to music as you ride or use your phone to track your riding stats. 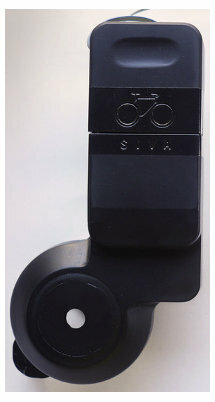 A long ride can bring an end to your phone battery...unless you have the Siva Atom. Although piston internal combustion engines have become more efficient as technology has improved, many people have wondered why something better hasn't been mass produced. Mazda gave it a shot with the rotary engine and countless others have made attempts as well. 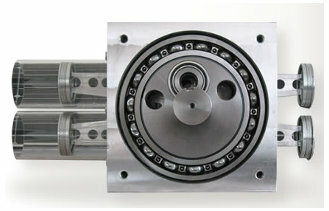 Duke Engines has a unique axial engine that may have a chance at succeeding if everything goes their way. 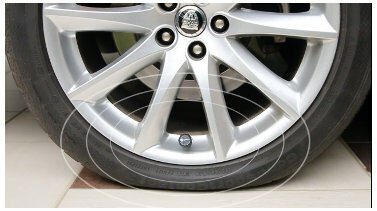 Most luxury (and many not-quite-so-luxury) cars come with the option to remotely monitor tire pressure. Knowing your tire pressure can, at minimum, help save you fuel and tire money. It could also save your life. For those of us who don't have a Tire Pressure Monitory System in our car, FOBO has designed a solution. It's a small valve cap that can be screwed onto each tire and talks to an app on our smartphones. 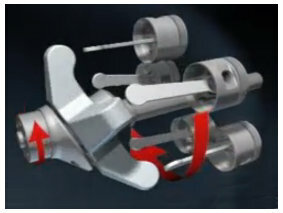 A Piston Engine That May Bridge the Gap to Hybrids and Electric Cars. We live in a really great time. Technology is changing at an unprecedented pace. This is especially true for the automotive industry. Hybrid, hydrogen and electric cars are becoming a reality, but they come at a higher price tag. Namikoshi Electronics thinks they may have a new piston engine that can help increase fuel economy without the added cost. Smartphones have changed the world. What's remarkable is the influence they play in bringing new and unusual technology to market. With the ability to interface to smartphones via bluetooth, a whole slew of new "smart" devices are emerging. 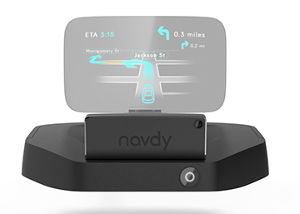 Enter Navdy, an add-on Heads-Up Display (HUD) for your car. 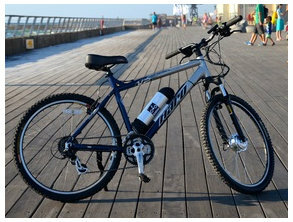 Electric bikes are becoming more common. As technology advances (especially in the battery department), people are realizing that an ebike is actually a realistic option for the world in which they live. Although ebike kits are nothing new, ebike expert Micah Toll feels his new kits are cheaper, better and easier to install than anything else currently available.